Featuring interviews with Etsy shop owners. Welcome back to the Etsy Conversations Podcast. 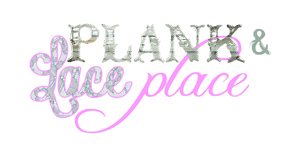 Today my guest is Amanda from Etsy Shop Plank & Lace Place, and I REALLY LIKE Amanda. I mean, I like everyone I talk to, but Amanda and I had an instant connection and I think that will be apparent when you listen to the episode. If you have feedback for Amanda she can be reached via email at AmandaBass@mail.com and you can Like her Facebook page. Cheers! This entry was posted by Angela Holden. Nice one! I enjoyed listening to you two this evening. Amanda, I will be convoying you to say hi and add you to my circle! Can't get enough of me? Click here!